Dampte Reacts/Writes Against Clamour For A New 'PMAN' By Banky W and Others. 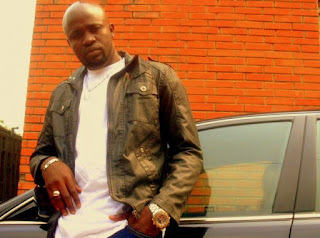 Dampte is known for his hit collaboration with singer YQ titled 'wine your tinkolo', The recording Nigerian artiste is also an ASCAP (American Society of Composers, Authors and Publishers ) member. Dampte writes a two part piece exclusive to Questionmarkmag.com reacting to the very content and solution proposed. He delivers a personal write up where he says: "Mr. Wellington and his gangs hiding under the umbrella of the new generation of Nigerian artistes seek to throw away our culture, throw out our rights which we fought for with tears and blood. Maybe not tears and blood but it really doesn’t matter. The fact remains the coupists have thrown out all the principles of civilization. For an instance, let’s pretend Abubakar Atiku has the same thinking process as my well travelled, learned and best selling colleague Banky W, Nigeria as we know it would be in CHAOS." The full text of Dampte's piece titled PMAN: A LOST TALE (Part 1) can be read at http://questionmarkmag.com/2011/02/pman-a-lost-tale-part-1-by-dampte/.